Our experience has led us to believe that the process of teaching is as important as the content of instruction, and that if we are to increase the diversity of scientists, STEM instruction must undergo a transformation at a fundamental level. To address this need, we assume a sociocultural and constructivist framework. This means that we believe that learning is a dialectical process; in which peer learners co-construct knowledge with instructors as facilitators or guides; through which artifacts are created through the social interactions of a group; and co-constructed knowledge can emerge from within the community of learners. Constructivist interactions depend on perceiving the individual as a unique and valued participant whose background and worldview bring needed knowledge and perspectives to both classroom and real world discussions. In this context, learners become active participants in the learning process, who gain confidence in negotiating academic topics through their activity within a social process. Learning is facilitated by instructors who function as knowledgeable others, rather than as ultimate authority figures in the learning process. 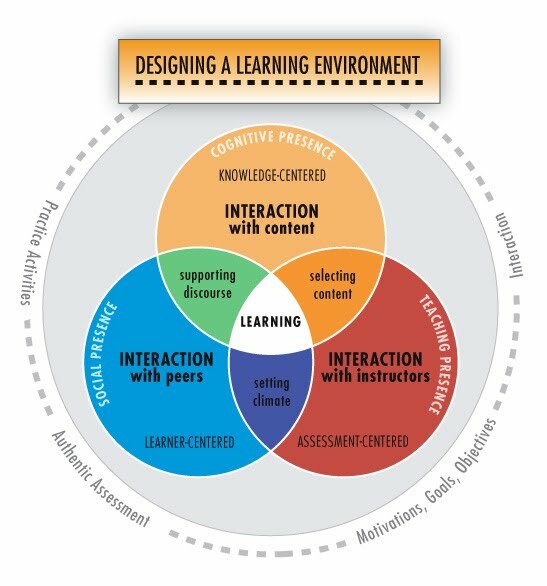 Such instructors understand the individual positions and knowledge level of their students, as a result of continuous dialogue with students, embedded within a zone of proximal development (see Figure 1 below). Knowledge produced in such classrooms is said to be socially and culturally constructed, with individuals initiating personal additions and changes in their knowledge as a part of the appropriation process. We recognize that for pedagogical purposes, instruction and content need to be informed by both the local use of culture and language and by local epistemologies and ontologies, as well as the content of traditional Western pedagogy. Pedagogical style can be understood as taking place within Vygotsky’s Zone of Proximal Development (ZPD; see figure 1). Our UNM PI, Anne Calhoon, and her doctoral student, Elsie Moses-Hoeg, expanded the ZPD conceptually to include instances of specific behavior observed in classroom interactions of 5th graders who demonstrated group work in which new knowledge was created by discussions that pushed the boundaries of what participants knew independently. Working to understand this phenomenon in undergraduate student learning groups will be central to our work in the proposed project. We conceptualize the content and learning structure of our work as illustrated in Figure 1 above, which shows how two mutually taught bodies of knowledge can be effectively included within courses in order to increase the flexibility of student learning. Specifically, the approach used in our project showed students that there are very important issues that traditional STEM content and instructional pedagogy do not teach, that all people in their future communities have valuable knowledge that must be heard and respected, and that science as enacted in life is a continuous learning experience informed by multiple voices. Figure 2. Model for development of hybrid courses adapted from published sources by Dr. Joyce Kincannon, curriculum specialist at NAU’s e-Learning Center. There remain areas within the U.S. in which languages other than English are the primary teaching and learning languages, and language preservation projects developed by many Tribes are strong components of teaching and learning in both informal (community-based activities) and formal communities (school-based activities). This means that students develop within a very different cultural milieu that influences their understanding of concepts even when they move into the English-language based university curriculum. Of those states within which such instructional and learning settings exist, Alaska is home to a variety of Alaskan Native communities who speak eleven major Indigenous languages with multiple related dialects. Some communities of Indigenous Alaskans remain so remote that instruction in the language of those communities is the first language used in all settings. We can employ the model in Figure 2 to help us understand the place of differences in worldviews in development of concepts within a culture and how these function for instruction of students. Our approach, therefore, is especially useful for collaborators at UAA. In addition, collaborators at NAU and UNM, who are in regions with large populations of both Native Americans and Hispanics, also benefit from this approach. Model for development of hybrid courses adapted from published sources by Dr. Joyce Kincannon, curriculum specialist at NAU’s e-Learning Center. Evaluating Student Learning and connecting the curriculum to students’ science identities have been shown to be linked to teacher style and type of content, as well as to the sociocultural milieu of the classroom and their community identities. For these reasons, we provide suggestions throughout our website on different ways to incorporate the materials within the classroom. Our faculty have developed a variety of techniques for engaging students from different backgrounds, and we hope that their insights will be helpful to others. Vygotsky, L. 1978. Interaction between Learning and Development. In: Mind in Society (Trans. M. Cole) pages 79-91. Harvard University Press, Cambridge, MA. Bauersfeld, H. 1995. The Structuring of the Structures: Development and Function of Mathematizing as a Social Practice. In: L. P. Steffe and J. Gale (Eds. ), Constructivism in Education (pages 137-158). Lawrence Erlbaum Associates Publishers, Hillsdale, NJ. Lave, J., and Wenger, E. 1998. Communities of Practice: Learning, Meaning, and Identity. Cambridge University Press, Cambridge, U.K.
 Wertsch, J.V 1997. Vygotsky and the formation of the mind. Harvard University Press, Cambridge, MA. Glasersfeld, E. von. 1989. Abstraction, representation, and reflection. In: L.P.Steffe (Ed.) Epistemological foundations of mathematical experience (pages 45-67). Springer, New York, NY. Prawat, R.S., and Floden, R.W. 1994. Philosophical perspectives on constructivist views of learning. Educational Psychology 29: 37-48; Vygotsky, 1978. Bruning, R. H., Schraw, G. J., & Ronning, R.R. 1999. Cognitive psychology and instruction (3d ed.). Englewood Cliffs, NJ: Prentice Hall. University of California Press, Berkely, CA; Cole, M. 1991. The cultural-historical tradition in psychology and the rise of communication as a new academic discipline. In R. Preston (Ed. ), (Proceedings of the Centres of Excellence Conference, 1989: The potential for social science and humanities. Wilfrid Laurier University Press, Toronto, Canada; Eggen, P., and Kauchak, D. 2004. Educational psychology: Windows on classrooms (6th ed.). Merrill Prentice Hall, Upper Saddle River, NJ. Gamoran, A., Secada, W. G., & Marrett, C. B. 2006. The organizational context of teaching and learning: Changing theoretical perspectives. Handbook of sociology of education. Springer, New York, NY. Rhodes, L. K., and Bellamy, T. 1999. Choices and consequences in the reform of teacher education. Journal of Teacher Education 50:17-26. Ernest, P. 1991. The Philosophy of Mathematics Education. Falmer, London, U.K.; Prawat and Floden 1994. Rogoff, B. 2003. Thinking with the tools of institutions of culture. In: Barbara Rogoff (ed. ), The Cultural Nature of Human Development (pages 236-281). Oxford University Press, New York, NY. Cajete, G. 1996. Look to the Mountain: An Ecology of Indigenous Education. Kivaki Press, Durango, CO.; Kawagley, A.O. 1995. A Yupiaq Worldview: A Pathway to Ecology and Spirit. Waveland Press, Prospect Heights, IL. Moses-Hoeg, E. 2008. What Three Fifth Grade Students Can Teach Us about the Thinking and Learning Process. Unpublished Doctoral Dissertation: University of New Mexico, Albuquerque, NM. Tauber, A.L. 2009. Science and the quest for meaning. Baylor University Press, Waco, TX. Carlone, H. B., & Johnson, A. 2007. Understanding the science experiences of successful women of color: Science identity as an analytic lens. Journal of Research in Science Teaching 44: 1187-1218; Coburn,W.W., and Loving, C. C. 2001. Defining ‘science’ in a multicultural world: Implications for science education. Science Education 85(1): 50–67; Keane, M. 2008. Science education and worldview. Cultural Studies of Science Education 3: 587-621; Kress, T. M. 2009. In the shadow of whiteness: (Re)exploring connections between history, enacted culture, and identity in a digital divide initiative. Cultural studies of Science Education 4: 41-49; Siegel, H. 2002. Multiculturalism, universalism, and science education: In search of common ground. Science Education 86: 803–820. Carlone and Johnson 2007; Emdin, C. 2009. Urban science classrooms and new possibilities: On intersubjectivity and grammar in the third space. Cultural Studies of Science Education 4: 239-254; Keane, 2008. Brandt, C. B. 2008. Discursive geographies in science: Space, identity, and scientific discourse among indigenous women in higher education. Cultural Studies of Science Education, 3, 703-730; Carlone and Johnson, 2007; Eijck, M. van and Roth, W-M. 2009. Authentic science experiences as a vehicle to change students’ orientations toward science and scientific career choices: Learning from the path followed by Brad. Cultural Studies of Science Education, 4, 611-638; Emdin, 2009; Keane 2008.